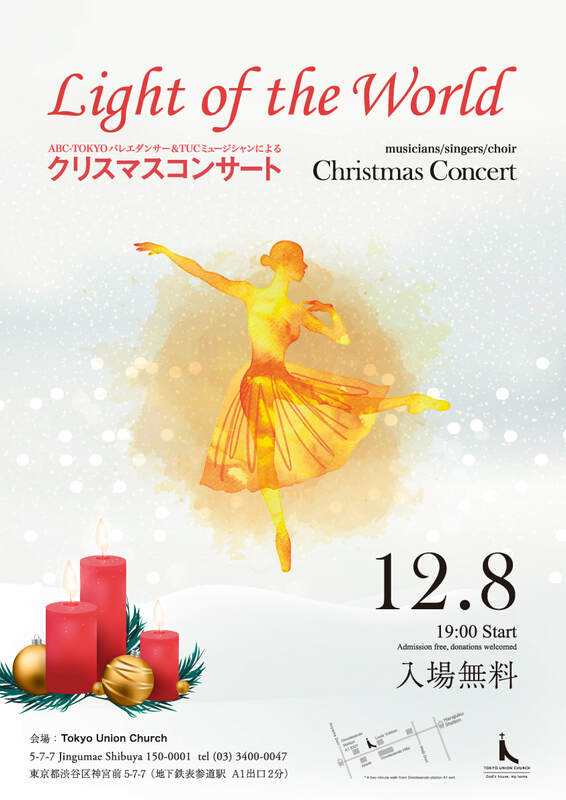 ABC-TOKYO Ballet Co. is performing the ballet JOSEPH AND MARY - NATIVITY in this Christmas Concert in the Tokyo Union Church downtown in Omotesando. Too easily we put trust in material gifts during the Christmas season, leaving us anxious. like the beauty of His creation, offer us peace and joy. Musicians and singers alongside dancers will perform in this Christmas Concert. Please make sure to arrive 15 minutes prior to reserve a seat. Donations are welcome, admission is free.